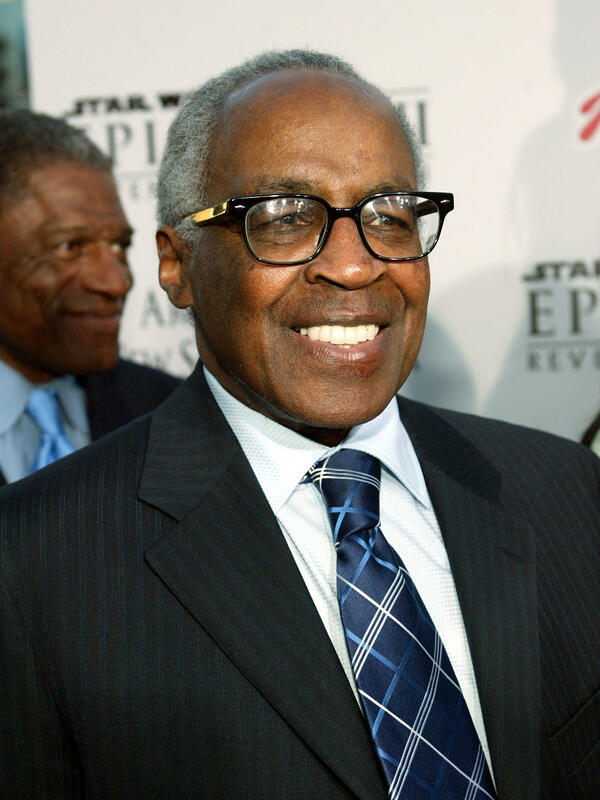 Actor Robert Guillaume in 2005. He died Tuesday at 89. 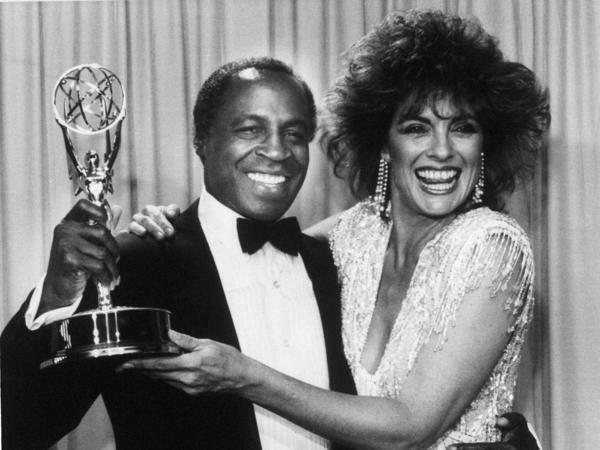 Actor Robert Guillaume, star of Benson, gets a hug from Linda Gray of Dallas, who presented him with the 1985 Emmy for outstanding lead actor in a comedy series, in Pasadena, Calif. Guillaume was the first African-American to win the award. Actor Robert Guillaume, who became the first black actor to win comedy Emmys for playing sharp-tongued butler turned lieutenant governor Benson DuBois on Soap and its spinoff, Benson, died Tuesday at age 89. Guillaume was born Robert Peter Williams and was raised in a St. Louis slum. He adopted his last name for its sophisticated French sound. He told Tavis Smiley in 2004 about the impact his career had had on him. "I found out who I was, Robert Guillaume, Robert Williams, whatever. I found out who I was through acting, and through being Robert Guillaume, I found out how to act. And it was something that satisfied me, and I don't think one ever gets enough of that. I'm sort of addicted to the notion that I have something to say." He started as a stage actor, in Purlie and an all-black revival of Guys And Dolls, and returned to the stage often in his career. But playing the refined DuBois for nine years starting in 1977 made him a TV star and a symbol of hard-won success, says NPR TV critic Eric Deggans. The part won him Emmys for best supporting actor in a comedy in 1979 and best actor in a comedy in 1985; he was the first African-American to win either. Guillaume told Smiley in a 2002 interview that he wasn't sure about the part when he first took it. "I had some misgivings and trepidation that perhaps taking the role of a butler was not the greatest thing I could do. But I'd been in the business for 17 or 18 years, and not a hell of lot had happened. So I said, 'I'd better get on this train.' "
Guillaume also portrayed abolitionist Frederick Douglass in the 1985 pre-Civil War miniseries North and South and managing editor Isaac Jaffe on the Aaron Sorkin-created TV show Sports Night. The Robert Guillaume Show, a sitcom he helped launch in 1989, broke ground in its single season by focusing on a growing romantic relationship between a black man and a white woman. Guillaume's lengthy on-screen career tapered off after a mild stroke in 1999, but his role as the eccentric mandrill Rafiki in The Lion King — you may remember him hoisting a certain lion cub to present him to the rest of the animals — helped provide him with a busy career as a voice actor in later years.